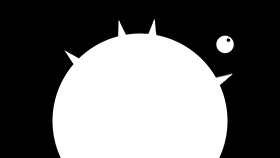 A new Phaser 3 version of this tutorial about creating a game based on the iOS game Magick. 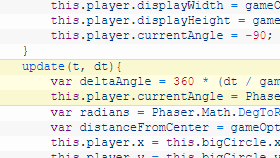 Why shaders are cool and how to use them in Phaser 3. 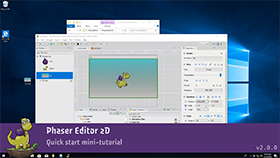 A new beginners tutorial series of animated videos on getting started with Phaser 3. 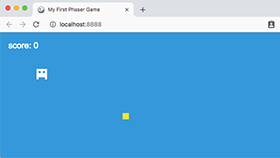 A quick-start guide to getting running with Phaser Editor 2 and Phaser 3. 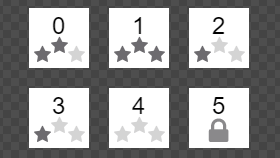 Build a complete level selection screen with pagination, stars, locked levels, swipe control, pagination buttons, saving level progression, tweens and more. 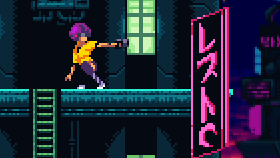 A free cyberpunk city art pack, complete with game source example. 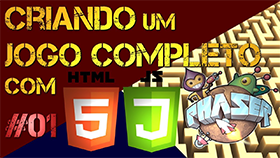 Four HTML5 examples to show you the difference between frame based gameplay and time based gameplay. 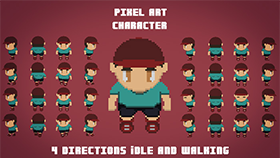 A tutorial on how to create perfect mazes for your game, including Phaser 3 plugin and demo code. 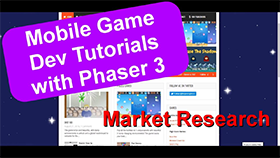 The first in a series of videos about creating mobile games with Phaser 3 from scratch. 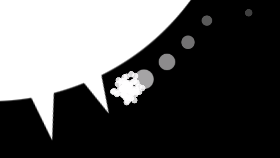 In this part the game is enhanced with double jumps, particle trails, explosions and camera effects. 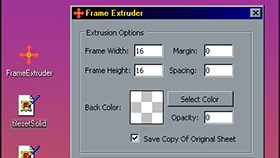 A tutorial detailing a flexible way to add and remove skins from Sprites. 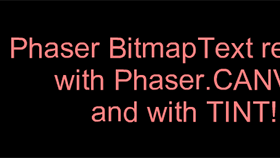 Learn how to add tint support to BitampText even when using the Canvas Renderer in Phaser 3. 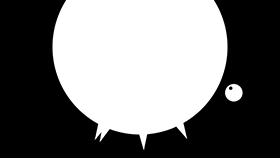 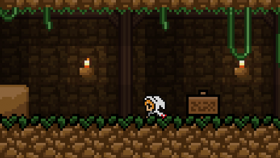 In the next part, collision detection with the spikes is added using line collision instead of physics. 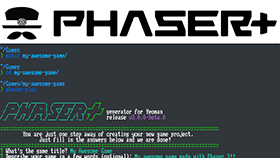 A Yeoman generator that makes starting up Phaser 3 game projects dead simple. 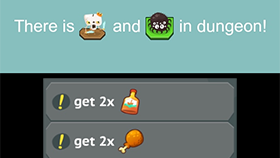 How to mix Sprites into your Bitmap Font, so you can easily inject them into your game text. 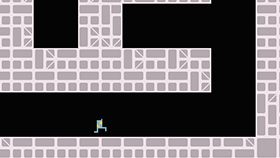 In this part of the series endless obstacles are added into the mix. 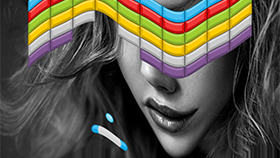 A Windows based app designed for extruding tilesets to avoid the bleeding pixels problem present in WebGL rendering. 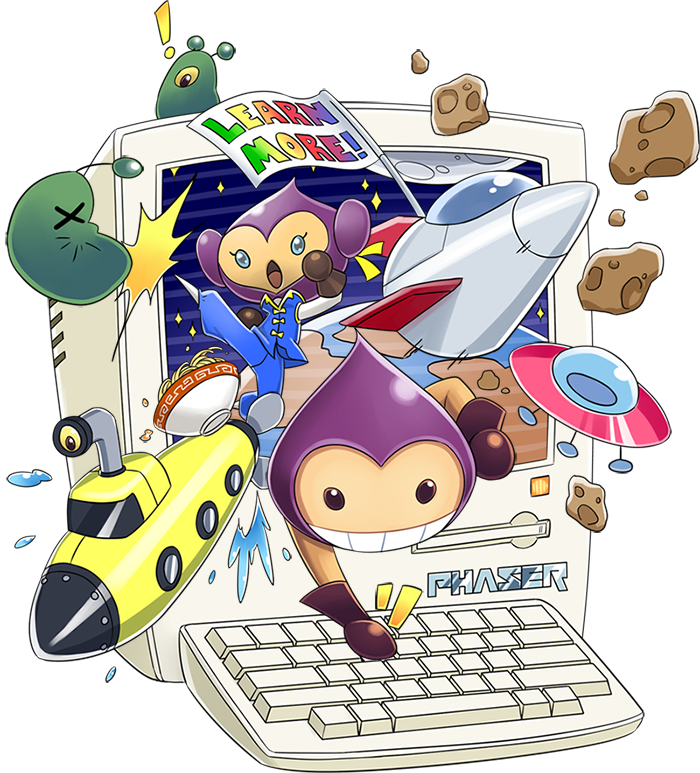 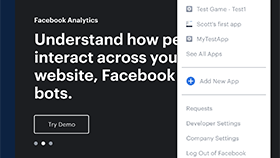 A comprehensive guide to using the Facebook Instant Games Plugin in Phaser 3. 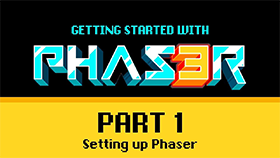 A brand new tutorial covering the all important basics from a Phaser 2 veteran.